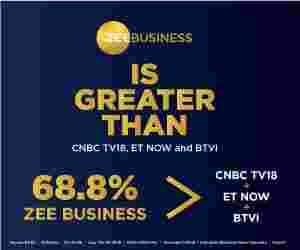 Gautam Singhania, Chairman and Managing Director, Raymond Group, in an exclusive interview with Zee Business, said that we have launched this bespoke lounge to offer almost everything that a customer wishes to have from us. Q: I think the lounge or the boutique is the first of its kind in the world. Let us know something about it and what made you to conceptualise the same? A: We call it Atelier lounge. Actually, during my stay at Raymond, I have seen things that Raymond can do for me, in terms of bespoke to made to measure, as It has been designing things from jeans to track pants. This is something that made us think that why we should not share our experience with our customers and thought to come up with such a bespoke lounge, where a customer can get almost everything from that can offer track pants, t-shirts, jeans, suits, jacket, leather accessories, khadi, ethnic wear to club wear among others. Q: The concept used in the boutique says the luxury that is available over here including the lounge that is available here. Interestingly, people will need an appointment to visit the place? A: Appointment will be needed to ensure the privacy of the customers and the lounge has been designed to ensure that the family of the visitor gets a place to sit with a comfort. In addition, the lounge will be offered to our customers even for seeing the football and cricket matches on the big screen. Q: Will you repeat the concept at other places also? A: This, Made to measure, the concept is being used for the first time in this world and people are responding in a positive way to it. The concept will be replicated after it settles down and we learn something from it. Q: I would like to know about your plans related to the ethnic segment that is an addition to your portfolio? A: We have been working on the product for past two-three years and this is the first season when we were able to do well in the segment. Earlier, customers used to visit us for stitching a suit that will be used during the marriage but now we are planning to expand ourselves and scale-up in the ethnic segment. Marriages in India is something that made us make our mind to enter into the ethnic segment, where we were not present. We entered into the segment to meet the demands of marriages in India, which is a three-day function, including an evening of song (Sangeet), marriage and dinner. And we were missing two evening out of the three evenings and they were of sangeet and dinner, where people prefer wearing Indian as well as western outfits. In addition, we have also launched Khadi and doing well in the segment. Q: Your step-by-step approach has worked also because you have never diluted anything and sent a message of being premium among people. A: We offer quality at any price point, from Rs 300/meter to Rs 10 lakhs/meter, at Raymond. We will be offering the best fabrics at this lounge, including vicuna fabric, which is the best fabric in the world, with an aim to offer the best product to Indian consumers. Q: Now lets talk about the women wear segment and Raymonds is that present in the segment. Do you have any plan to enter into the segment? A: See, we have a small presence in women's wear through Park Avenue. Entering a women's wear segment is as easy or difficult as it will be while entering into the infrastructural sector because it is going to be a completely new business for us and that is a reason that we are refraining ourselves from entering into the domain. Q: It is a festive season and the wedding season is about to start. Do you have any expectation from the approaching wedding season? A: Initial indications are too good and we are looking forward to having a good season but ongoing volatility in the market, where a person can't guess about the things that will happen next week, may hamper our expectations. Q: I would like to talk on the pricing and try to understand the ways that will be used to maintain things? A: Raymond is a value for money company, where we price right, we price the correct price. Q: Do you want to say anything about expansion plans of your plants, especially for Khadi, the segment, where you have increased your production? A: Khadi is not produced at our place and we outsource it from clusters, where they are made. In addition, we have no plans to increase our productions and our CapEx cycle is about to an end and we have no plans to go into a CapEx based programs. Q: Do you think that the ongoing trade war, increase on import duty and depreciation of the value of Rupee will or is having an impact on Raymond? A: General impact will be felt to almost everyone including Raymond. There are pluses and minuses in everything, we live in a VUCA (Volatility, uncertainty, complexity and ambiguity) world and we are supposed to complete in it. We are net exporters and thus the events of the market are going to have a positive impact on us. Q: We are aware of your brick and mortar concept where people are supposed to come and feel at your place. But this is the world of online market and I think that you are not a big fan of the platform. Can you tell us about the ways that will be used to compete from the platform? A: See, both are channels and you are supposed to use technology to embrace and understand it. I think commodity products of the fashion space is being sold online. India is a country where people have an experience in shopping. The online challenge will work but people will also look forward towards the destination stores. In addition, this store and its experience can't be created on the online platform. Q: Can you let us know about the online sales percentage and do you think that it will go up in time to come? A: It is a small one and I think that it will grow at a higher rate. However, it is going to be very small when compared to the physical sales. Q: Raymond's has performed well in past two-three years. Can you inform us about Raymond's roadmap of the next two-three years? You have reduced the debt levels also and do you have any projections related to its reduction? A: The CapEx cycle has ended and it will help us in reducing debts and whatever we are doing is being done to enhance shareholders value. Q: Do you have any expectations from the landbank? A: See, people usually ask the same question and my reply remains the same that we will do whatever it takes to enhance shareholders value. We have closed a factory with an idea of monetising the land but how and when is my number one agenda. Q: Reports were there that Raymond is keen to tie up with Patanjali. Is it on? A: There is no progress on it so far. We had a preliminary meeting and will look forward to work on it after they come out with a final idea of being into the readymade garment segment. Q: Do you see consolidation in this business because the customer has the problem of plenty due to the presence of a number of brands and variety? A: See, brands and variety helps in expanding the market size and helps in strengthening the stronger brands and we have seen this during the recession or tough times. Q: What is going on in the fast moving consumer goods (FMCG) vertical? A: FMCG is a core focus area for us and we have done a lot of work by bringing the right people to it. We are the first company in which the promoter has given up the chairmanship of the company by bringing a professional from the outside world to run it. We have roped in Rajeev Bakshi as the chairman of the company to advise on the new segment. The main focus is on shareholders value creation and growth of that business. Q: Can you please expand on it so that investors and our viewers can get an idea about your thought process related to FMCG segment? A: See we are a strong brand and in recent past, we acquired the stakes of Ansell in the FMCG segment and with this we have the opportunity to expand the brands, like Kama Sutra brand, as per our wishes. Earlier, we had a problem of getting the sign of the partner after explaining and convincing them the idea behind the expansion. Q: It means that you have an emphasis on Quality? A: Quality is the DNA of Raymond group. Q: Where do you see this business in the next three years? A: I am hoping a double-digit growth in the segment. Q: Do you see it at a position where you opt for listing the brand? A: Currently, the business is in its build-out phase and we have plans and that is why you will be able to see something new in it. For example, we have launched a perfume in the month of August and there are more products in the line that we are launching. Q: You have taken over the complete ownership of the segment. Do you think that you will be able to take the ownership in other segments too? A: If an opportunity presents itself certain. I mean, growth doesn't have to be only organic, it can be inorganic as well. Q: So, there is an opportunity for that? A: No, we don't have any on the table today but I am sure that opportunities will come. Q: What is your sense of expansion in the international market, especially in the Khadi segment? A: This is our first season for Khadi and will not focus on export of the Khadi products for the next two-three seasons and give it a chance to settle down. Secondly, we will first work to suffice the domestic demand of the product. As far as export is concerned, we have established a plant in Ethiopia and became a full solution for the consumer and that has worked well for us. Ethiopia is the least developed country so the duty is not there and has worked out as a great partnership for our foreign customers. Secondly, we are also going to launch a 'Made to Measure' in America in partnership with a big retailer but I can't disclose the name of the retailer but it will be announced in next two weeks. The opportunity is starting with twelve Made to Measure outlets to start and then the opportunity is in hundreds. Q: Can you identify other markets like southeast Asian market, where your brand can perform well? A: See, the Middle East and Asia is the market for Raymond as a brand and we are working in their brand in America. In fact, we have three major markets and they are the US, Europe and Japan, the country where we have been supplying our suits for past 10-years and then to say when you supply to Japan the quality is the best. Q: Do you think some upsurge in demand from your markets, apart from India? A: Our base in the international market is a small one when compared to the Indian market and actually in percentage terms, it will be coming down. However, it will grow healthy but growth in India is going to be far higher and will be supported by its base. So in absolute terms, the percentage might come out. Q: We usually talk about the non-core assets and you have always carried it especially after the launch of the debt reduction plan. You have sold certain non-core assets but do you have anything to sell in near future? A: Once again, I will come to the same thing that we do whatever is good for the shareholders. At a price every business is fissile. There are certain non-core businesses but they are doing very well like our auto component business, which has got a fantastic return on capital employed and it is growing well. In addition, our engineering business, which was not doing well, has turned around and done well. So at a value, it is a value game and thus will need more money if they are doing well and we will be doing so to make sure that we don't lose our focus on what we are doing. We are focused on only one thing and that is shareholders value creation and everything is driven in this organisation by that now and the person who will get the most it is me. Q: How do you deal with the volatilities that hit the market? A: Avoid reading newspapers and watching television and it will help in simplifying the things as nothing will be visible to you. During the reviews, I am told about certain happenings and based on that I would like to say that volatility has turned up be a normality now. The volatility will continue to grow when the world is connecting to each other. Q: Don't you think that you will have to face challenges to maintain the margin projections, like 2020 targets of Raymonds? A: These are ruling targets and is a guidance today and we should be nimble-footed to change things if something dramatic happens tomorrow. Q: GST has been introduced in India and the government has been experimenting things for its implementation from changes related to tax rates and more. Are you happy with the introduction of GST and the way it has been implemented? A: See, we are here to do business, the environment is what it is and the faster you accept the reality, the faster you move on. Q: Do you think that the existing levels are right or it can be improved? A: See, we can argue on it and say that it can be higher by 4 per cent or lesser but the reality is the reality and we should carry one with our business by putting our heads down and this is our philosophy. Q: Let us talk about margins, which is an essential part of every business, and we have seen that you have always kept it in a profitable zone. Will you let us know about your philosophy to keep margins intact as a promoter and head of the company? How do you protect your margins? A: One is by enhancing sales prices but those days are gone so you will really be able to protect your margin by cost cuttings and continuously finding ways to do the same thing at a cheaper cost. I think if you hire good people, which is a difficult task, let them do their jobs and empower them. We Are very clear that hire the best people and let them run the business.